Convenient handles on this Gamma ball hopper make for easy pick-up, and the same handles flip over to make a stand basket. The standing basket allows you to practice your serves easily. The GAMMA Ballhopper Hi-rise 75 has an attached lid to prevent accidental spilling. 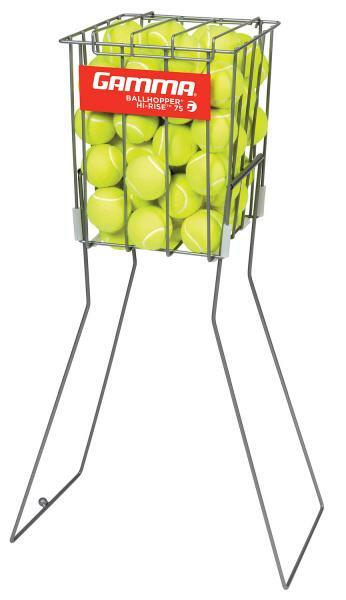 Complete your ball hopper with a set of Gamma pressureless tennis balls.